Please note that because of the continuing dangerous situation in Syria that the route of Venice - Tartous - Alexandria has been suspended for the time being. It is unknown when normal service will resume. You can use AFerry to book ferries to Egypt from Italy, sailing to the port of Alexandria. Using AFerry will always get a great deal on your ferry to Egypt. See below for timetables and the latest special offers. Egypt is famous for its ancient architecture and history. 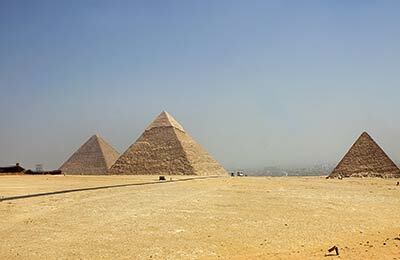 You can travel on a ferry to Egypt with Visemar Line, and experience all that Egypt has to offer, from the Great Pyramids of Giza in Nile Valley to the Great Sphinx near Cairo. Spread over North Africa, Southwest Asia and Europe (the Mediterranean region), Egypt is a transcontinental country. Most of Egypt is built around the most fertile Nile valley, which is bordered by the river Nile and the two seas - The Mediterranean Sea and the Red Sea as the rest of the country consists of deserts (90% of Egypt consists of deserts). Whether it is the desert adventure, the beach getaway or unfolding the history that you are interested in, Egypt is the destination for you. There are plenty of options for transportation in Egypt, these include the Egyptian railways which connect the southern Egyptian city of Aswan and travel up to Alexandria in the north. There are also luxury air-conditioned coaches available to travel to various places in Egypt. These buses also offer special services such as day trips to tourists. Alternatively, you can also take the local Egyptian airlines if you are short of time to get to various destinations within Egypt. Water transport is also available along the Nile River and the Suez Canal. Known as the cradle of civilisation, Egypt never fails to surprise. 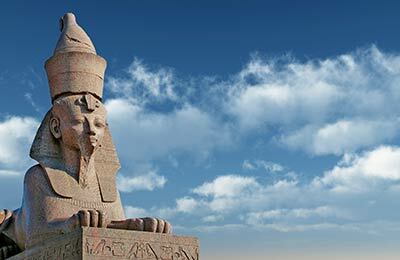 Egypt is home to some of the world's most famous monuments and historic artefacts. Some of the spectacular sights of Egypt are concentrated in the Nile valley where you can find the Great Pyramids of Giza and the Great Sphinx near Cairo (one of the seven wonders of the world), the legendary city of Alexandria known as the "Pearl of the Mediterranean" with stunning pieces of ancient archaeology and spectacular beaches, the city of Luxor where you can visit the Temple of Karnak built by the Pharaohs along with the valley of the kings nearby and the temple of Abu Simbel built by the Pharaoh Ramses II. Not just history and architecture, Egypt is renowned for its fine sandy beaches and coral reefs. Egypt's Red Sea is a treasure for the divers and is amongst the best in the world. 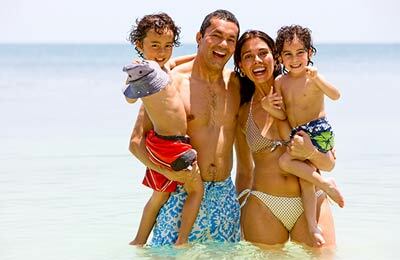 Pleasant temperate climate coupled with a number of quality and affordable holiday resorts which offer a number of activities such as snorkelling, windsurfing, sailing and scuba diving make Egypt a great destination for holiday makers. Hurghada, El Gouna, Marsa Alam, Port Ghalib, Sharm El-Sheikh are just a few places with such holiday resorts. While in Egypt, a trip to see the vast expanse of the Saharan sand is a must to enjoy the rare beauty of desert sun at dusk and dawn and to enjoy that special barbeque meal under the shade of a palm tree surrounded by the idyllic oasis.